LTCL, BMus(Hons), GRNCM (upper division), PGDipRNCM A graduate of both Manchester University and RNCM (joint course); Duncan pursues a busy career as both a performer and teacher. He has performed with orchestras such as Opera North, and the National Symphony Orchestra of London, and guest led various ensembles, such as the European Chamber Ensemble, and Darwen Ensemble. With the award winning Ryebank Piano Trio, he regularly performs for concert venues and music societies throughout the North West, as well as having performed the Beethoven Triple Concerto with the Liverpool Mozart Orchestra. As a soloist, Duncan also gives regular violin and piano recitals. As a teacher, Duncan works with a wide range of ages – from five years old, up to and including consultation and advisory lessons with music college students. (His oldest student to date was 80!). 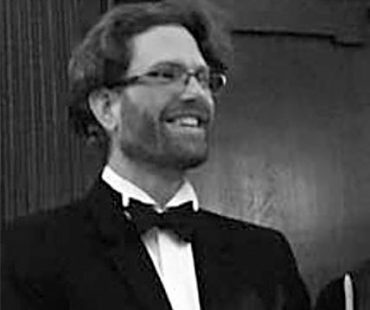 At Xaverian Sixth Form College, Duncan is Head of Chamber Music, as well as Director of the String Ensemble and Chamber Orchestras. Most recently, he directed the Xaverian String Ensemble in a performance of a Vivaldi Violin Concerto at the RNCM; with one of his students (soon to attend the RNCM) performing as the soloist.